Working alongside national building service specialist, Briggs and Forrester and main contractor, Wilmott Dixon, the Transtherm team have once again demonstrated that the days of conventional chillers or CRAC units are limited for many data centre applications. Bucking the trend for using compressor-based refrigerant technology with an adiabatic cooler to reject the heat from a condenser water circuit, Transtherm and Briggs and Forrester, have showcased how the internal temperature of modern data centres can be successfully maintained using direct adiabatic water cooling. Thanks to more adaptive build methods and a marginal, but vital, increase in server temperature resilience, the temperature parameters of data centres has risen to a range which ambient cooling technology can comfortably achieve. Flexible and adaptive by design, our adiabatic technology can be tailored to suit the exacting requirements of mission critical applications, with a range of cleverly designed and fully integrated system additions and component enhancements to ensure complete reliability around the clock. Briggs and Forrester, aided by Transtherm’s team of mechanical engineers, specified a total of three 200kW, adiabatic V coolers, delivering impressive an EER (Energy Efficiency Ratio) of 74 when operating in adiabatic mode and 91 in dry mode, with a very low noise volume of 49 decibels from a distance of ten metres. Each cooler has four state-of-the-art EC fans and a number of mission-critical enhancements such as upgrading the fin material on all coils to aluminium magnesium alloy, which is proven to provide improved longevity against corrosion and wear. Air inlet filters were also introduced after independent environmental building engineers, Couch Perry and Wilkes, expressed concerns over the heat exchanger being fouled by leaves. 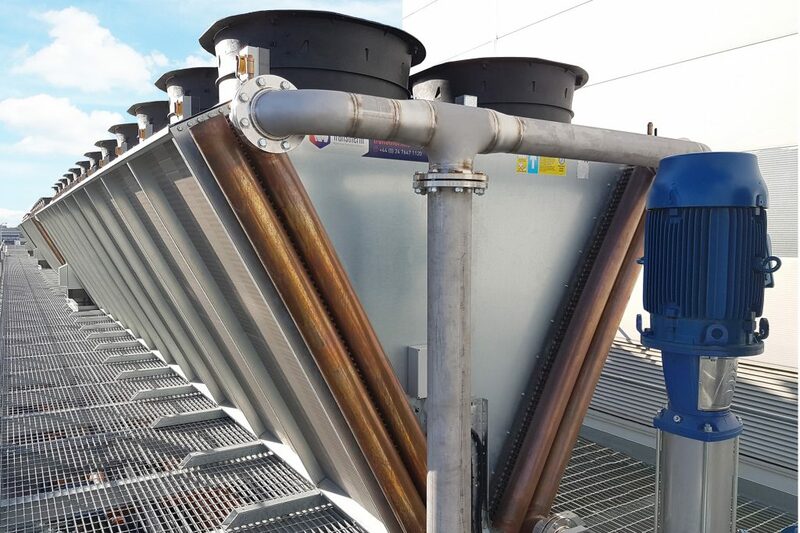 Situated in one of Birmingham’s greenest suburbs and with further tree planting soon to take place, these additional filters prevent the coils from being blocked by debris and scaled up from excess moisture. Each cooler was also installed with an additional standby UV system, which is programmed to commence operation autonomously in the unlikely event that the integrated UV system fails. 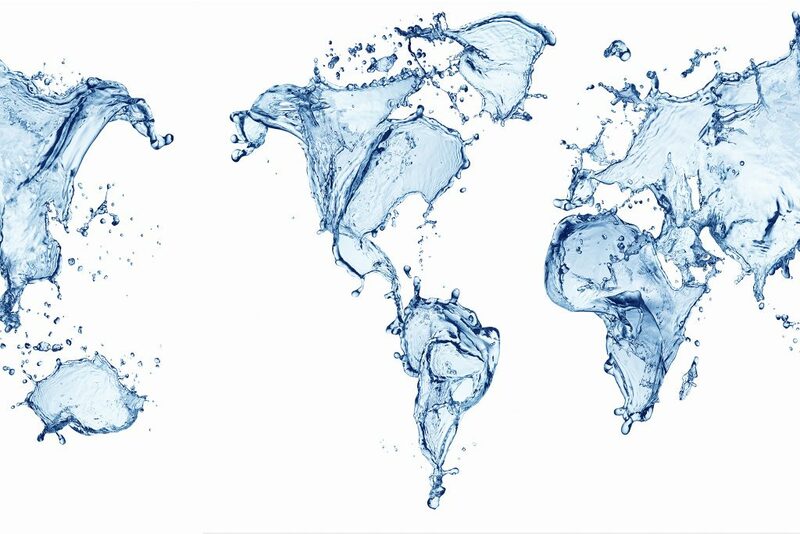 Tim explains: “Legionella control is paramount and our systems are intelligently designed under the guidance of the British Health and Safety Executive (HSE) for the automatic and highly effective treatment of Legionella bacteria. Developed specifically for data centre applications, our overcooling prevention system continuously monitors the water temperature, diverting the supply via a three-way valve to bypass the cooler. 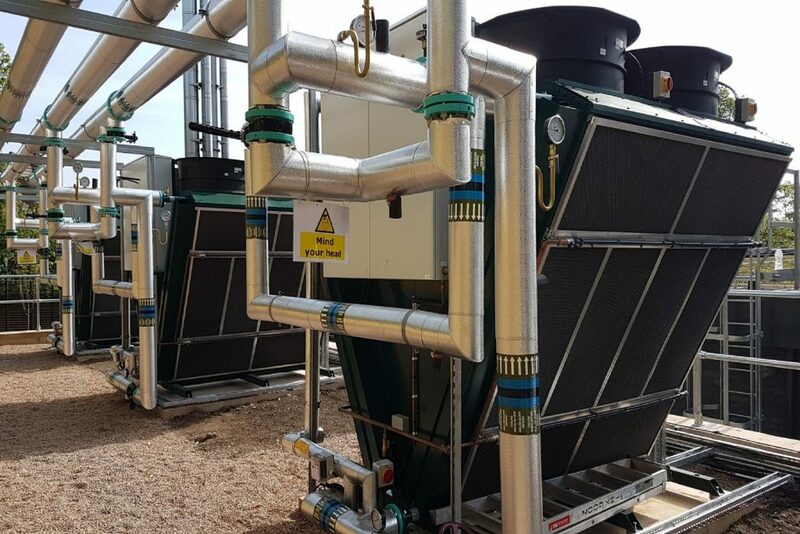 Particularly useful in colder climates such as the UK, overcooling prevention systems protect mission critical environments from temperatures below their optimum operational threshold in the event of very cold weather and when high winds blow through the heat exchange coils. When controlling identical plant on the same system independently, marginal parameter variations are not uncommon, and in most instances, are not a concern. When cooling highly sensitive equipment in a data centre however, these parameters are best kept consistent. With this in mind a master control panel was used on this project, capable of programming and monitoring the performance of the coolers as one piece of equipment, rather than three separate machines. With an additional master control performing the primary control functions, the three independent PLCs become an autonomous failsafe for cooler operation, should a fault occur on the master panel; picking up the control of each cooler until the master control panel has been repaired and returned to service, avoiding a single point of failure. “Transtherm’s adiabatic technology is an efficient, reliable and high-quality solution for directly cooling data centres in which the server temperature parameters allow for the eradication of compressor or refrigerant based technologies,” says Mark. For more information on Transtherm’s adiabatic cooling solutions visit www.transtherm.co.uk, and to read more about Briggs and Forrester, visit www.briggsandforrester.co.uk.